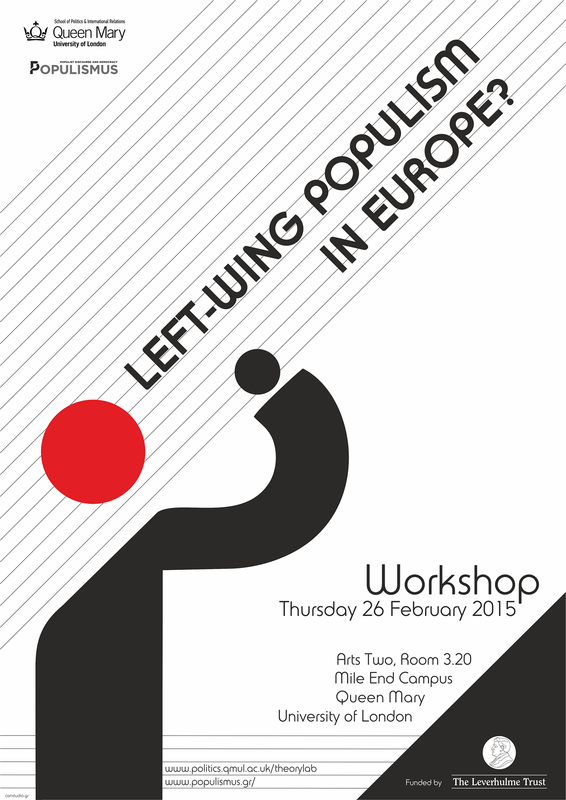 Against the background of traditional populist mobilizations (Agrarian populism in the US, Russian Narodnichestvo and traditional Latin American populisms in the 1940s and 1950s), the last decades have signalled a resurgence of populist phenomena, especially in Europe (extreme right-wing populism in France, Austria, the Netherlands and elsewhere), Latin America (Chavismo in Venezuela, Kirchnerismo in Argentina, etc.) and, more recently, the US (Tea Party, Occupy). This re-emergence poses a major challenge to political and social research with significant implications for the broader public sphere, since it often monopolizes the daily agenda of the media and touches on the very quality of democracy. How has the research community responded to this challenge so far? Obviously ‘populism’ as a category has a long history within the field of political analysis, but also in public discourse more generally. Nevertheless, empirical analyses of populist movements often suffer from a (more or less euro-centric) lack of comparative perspective and an insufficient conceptual and methodological orientation. In most cases they are devoted to the analysis of a specific mobilization, country or continent. Thus, they become conditioned by the national and continental peculiarities of the respective cases they investigate, elevating their limited focus into a universal criterion for the identification and assessment of populism in general. For example, many European approaches equate populism with the extreme right, exactly because such phenomena have been prominent in Europe during the last decades and seem to intensify today. Being unable to take into account the global diversity of populism and unwilling to mediate the empirical level (in its multiple dimensions) with a theory able to capture and interpret it in a coherent way without simplifications and arbitrary reductions, they lead the research of populism into an impasse. This happens not only due to the resulting geographical fragmentation, but also due to the employment of underdeveloped and mutually incompatible, if not contradictory, definitions of the category of ‘populism’. As a result, the dynamic, multifaceted resurgence of the phenomenon within the framework of the 21st century remains hard to grasp if not enigmatic. Against this background, even the few attempts at developing theoretical approaches with global pretensions have largely failed in articulating a research framework sensitive both to the historically distinct experience of different countries and regions and to the wider dynamics that overdetermine universally processes of identification and the formation of political identities. For this reason they have not managed to arrive at a synthetic definition of populism, while they have equally failed to clarify its relation to democracy. Thus, what emerges as an urgent priority is a truly comparative investigation of the populist phenomenon in its multiple manifestations around the world, their consistent mapping and reflexive interpretation. Such a course would certainly presuppose the articulation of a rigorous yet flexible theoretical framework. The POPULISMUS research project aims at the development of such a framework through the utilization and further refinement of the conceptual and methodological innovations developed in the areas of political theory and discourse analysis and linked to the interdisciplinary approach of the so-called ‘Essex School’. By approaching populism primarily as a form of political discourse, as a network of meaning that actively constructs political identities, the ‘Essex School’ of discourse analysis offers the basic parameters of a much-promising research orientation able to guide the comparative research and interpretation of populist discourse, investigate the profile of the emerging ideological cleavage between populism and anti-populism and evaluate its effects on the quality of democracy in Europe and beyond. Thus we anticipate the articulation of an analytical model able to illuminate various aspects of populism in innovative and comprehensive ways. Apart from promising to significantly further international research of the populist phenomenon, such a model may also operate in a demo-pedagogical way for every citizen, through the dissemination of research results and the raising of public awareness.